Being true to the gym and to himself has helped this standout become one of the best linebackers in the NFL, and the anchor for this season’s rejuvenated Cleveland Browns defense. For Cleveland Browns linebacker Christian Kirksey, 2017 may be the year he sheds the “Tiny Titan” label and gets recognized as a true NFL superstar. But now it’s Kirksey chance to laugh—all the way to the bank. This July, following a career-best season in which he was third in the NFL in tackles (148) and led all NFL linebackers in defensive stops (63), the former Iowa Hawkeye inked a four-year, $38 million contract with the Browns, with $20 million guaranteed. We dove into his Instagram account to create it. 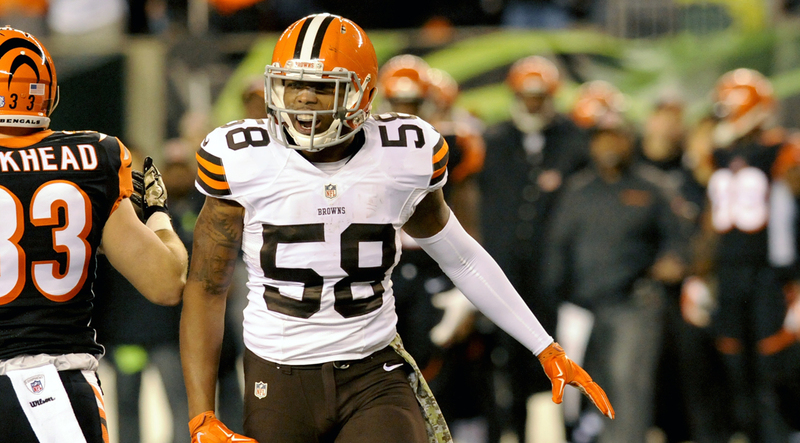 Aside from solidifying Kirksey’s status as one of the rising stars of the league, the contract, put together by Sportstars agents Brian Mackler and Jon Perzley, sets in stone the desire of the struggling Browns—who haven’t had a winning season since 2007, and won just four games in the past two years—to make him the cornerstone of their efforts to become something other than the laughing stock of the league. It’s a responsibility that Kirskey, now the NFL’s fourth-highest-paid inside linebacker (behind All-Pros Luke Kuechly, Bobby Wagner, and NaVorro Bowman), doesn’t take lightly. The former Pittsburgh Steeler shifts focus back to the NFL. Of course, Kirksey won’t be out there fighting alone on the field when the team hosts the Pittsburgh Steelers on September 10 to open the season. He’ll be flanked by fellow inside linebacker Jamie Collins and a talented crop of rookies led by No.1 overall pick Myles Garrett and first-rounder Jabrill Peppers. The team even has a new defensive coordinator, Gregg Williams, bringing a new aggressive energy to this defense that should vastly improve from its next-to-last ranking from a year ago. Translation: The Browns D is going to be solid. It’s the third summer Power and Kirksey have teamed up. The linebacker admitted to having to adjust to a learning curve on the mats which featured creative moves like plate planks—a punishing twist on the traditional plank in which your hands are holding onto a 45-lb plate on its end. Power’s killer conditioning program was a far cry from the bench presses and squats he was accustomed to. But for Kirksey, he equates the change in routine to learning Williams’ playbook. The former Green Bay star QB gets shredded for challenge. It wasn’t long before Kirksey began dominating on the mat, which not coincidentally, carried over to last year’s breakout season. Yet as impressed as Power is with Kirksey in the gym, it pales in comparison with how he rates him out in the real world. “Christian is an even better man than he is a football player—which is scary to say, because he’s one bad player on the field,” he says. It’s staying humble and approachable that’s helped earn Kirksey—who grew up in St. Louis and spent his youth discovering his fashion style through thrift stores, and teaching himself drums so he could play at his family’s church—a reputation as one of the league’s true gentlemen, though you probably won’t hear that from him. Kirksey is active in the Cleveland and St. Louis communities, recently hosting a football camp in his hometown. 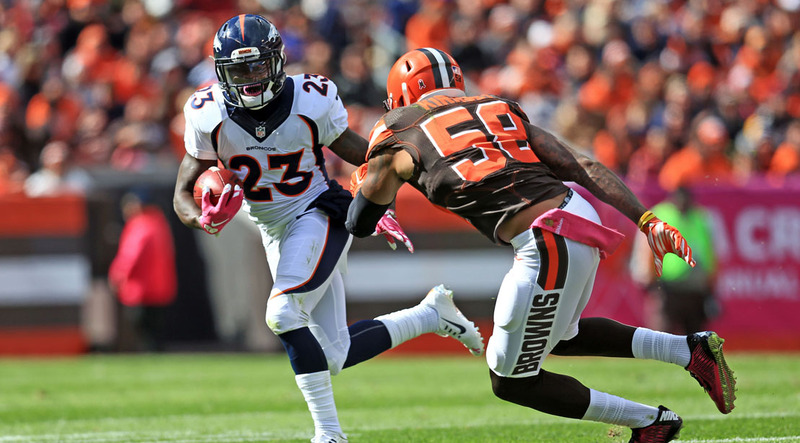 His good-guy image off the field carries over into the locker room, where Kirksey is also excited about the opportunity to share the knowledge he’s gained as a league veteran with his new, less-seasoned teammates. “You try to put yourself in a rookie’s shoes when you see him not knowing too much,” he says. “You remind yourself that you were once that guy, and try to help out as much as possible. Now, going into year four, I feel comfortable being in that leadership role."